It’s asparagus season! 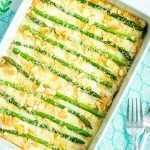 Everyone is posting their asparagus recipes so we thought we would share two super quick and easy (but still delicious!) 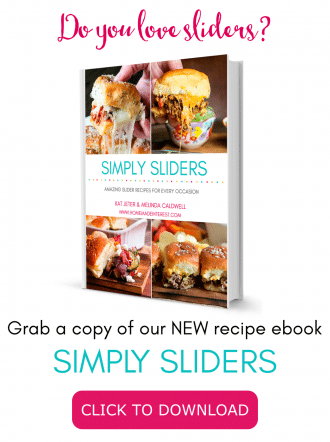 recipes that everyone in the family will enjoy. This easy Baked Ham and Cheese Asparagus is low carb and simple to make! Lay one slice of ham out and top it with a cheese slice (or two). 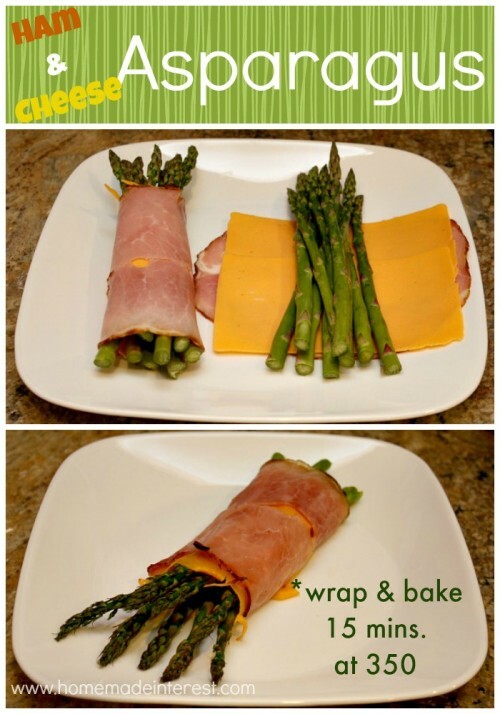 Place 4 asparagus spears in the center of the ham and cheese and wrap it. Lay the rolls on a greased, aluminum foil-lined, cookie sheet and baked at 350 F for 15 minutes. 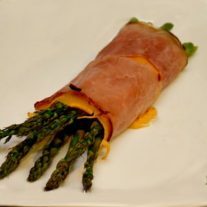 Kat: I made a simple wrapped asparagus that doesn’t require any cooking other than steaming the asparagus, and can be served cold or at room temperature. 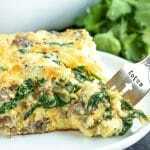 It is a perfect recipe for party buffets, quick lunches or no fuss dinners. All you need is deli sliced roast beef (I used 1 lb. ), 1 bunch of asparagus, cream cheese and mayonnaise. First, you’ll need to steam the asparagus. I take the lazy way and dampen a paper towel and wrap it around my asparagus, then put it in the microwave for 3-5 minutes. The asparagus comes out perfect and I don’t have to wait for water to boil or wash any pots! When it comes out of the microwave I run it under cold water to stop the cooking process. While the asparagus is steaming mix 2 Tbsp of mayo with 2 oz. of cream cheese in a bowl. 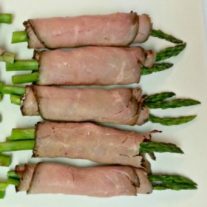 When your asparagus is ready lay slice of roast beef down on your cutting board and put a light coating of the mixture on it, then place 1-3 spears of asparagus on the roast beef and roll it up. It’s that simple but I promise you it is delicious! I make a bunch and put it in the fridge, then I can just grab a few rolls for dinner or to pack in my lunch. A simple wrapped asparagus that doesn't require any cooking other than steaming the asparagus, and can be served cold or at room temperature. 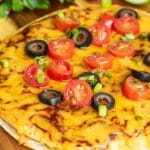 It is a perfect recipe for party buffets, quick lunches or no fuss dinners. Steam the asparagus. Dampen a paper towel and wrap it around the asparagus. Put it in the microwave for 3-5 minutes. When it is done run it under cold water to stop the cooking process. While the asparagus is steaming mix mayonnaise with cream cheese in a bowl. When the asparagus is ready lay a slice of roast beef down on your cutting board and spread a light coating of the cream cheese mixture on it. 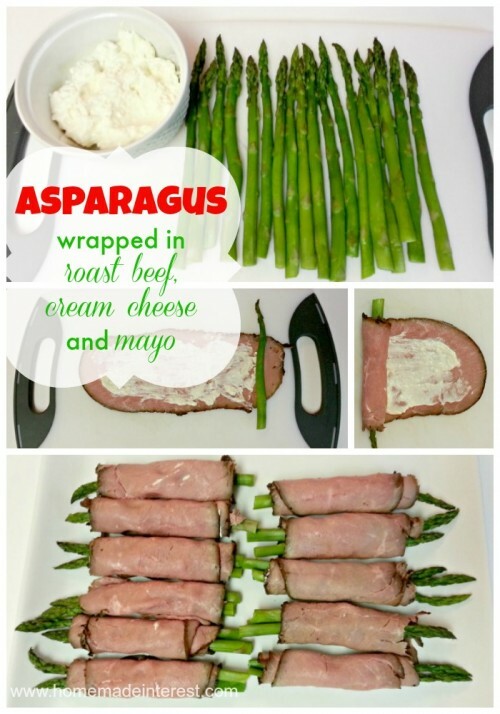 Place 1-2 spears of asparagus on the roast beef and roll it up. Repeat process until you have about 12 rolls. Next Post » My Little Pony Party!! I wish I had asparagus growing in my backyard! 🙂 Try prosciutto too, it is definitely my favorite meat with asparagus, cooked or uncooked! I love asparagus so much and I’m always looking for a new fun yummy way to serve it! These both look so good! I think I might do the mayo and cream cheese one tonight!!!! Stopping by from the link up on Play.Party.Pin! I’m generally very simple with my asparagus. 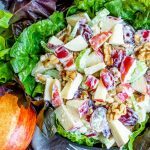 But I find these to be pretty inspiring for a side item or quick snack! Pinned and shared. Thank you for linking with us at The Yuck Stops Here. Hope to see you this week for the new party! Please grab a party button if you have not done so already. 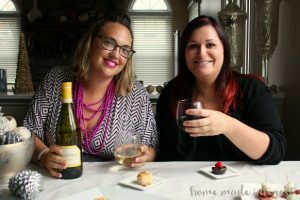 I am thrilled to tell you that I am featuring this as one of my favorites on The Yuck Stops Here this week! Come by to pick up your “I’ve Been Featured” button any time you can. CONGRATS & HUGS! Thanks Cheryl! We will be linking up again this week!